New Mexican poet Jimmy Santiago Baca will speak and read from his work, followed by a Q&A session. 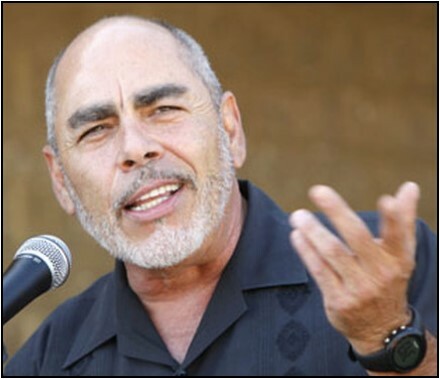 Jimmy Santiago Baca was born in New Mexico of Indio-Mexican descent and spent his early years in an orphanage before he was sentenced to five years in a maximum security prison where he turned his life around through education and poetry. He is the winner of the Pushcart Prize, the American Book Award, the International Hispanic Heritage Award, and for his 2001 memoir A Place to Stand, he received the prestigious International Award. In 2006 he won the Cornelius P. Turner Award and has devoted his post-prison life to writing and teaching others who are overcoming hardship. The program is free and all are welcome. Books will be available for purchase and signing.